Ontario Fishing Directory - Lures and Tours Blog: Kawartha Lakes Enjoy Valentines Dinner Featuring Local Food! Kawartha Lakes Enjoy Valentines Dinner Featuring Local Food! 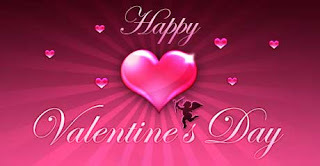 Thursday, February 14th, 2013 The Landings welcomes you to celebrate Valentines with a delicious Valentines Dinner 6 pm to 9 pm. Savour homemade dishes with local food. Valentines Day Thursday, February 14th 2013, Shawn and Debra will welcome old friends and new to The Landings Marina Restaurant Valentines Dinner. Celebrations at The Landings are becoming a favourite family tradition for patrons from near and far. At their recent Customer appreciation Christmas Gala and New Years Day Brunch, there was standing room only. The Landings just minutes from Fenelon Falls on the Trent Severn Waterway, offers a very unique location ; visitors arrive by boat, by car, snowmobile, and even by float plane! You will want to make your reservations for Valentines Dinner now, as seating is disappearing quickly. With a panoramic view of Sturgeon Lake, The Landings offers a unique dining experience. The Landings Valentines Dinner will be available from 6 pm to ? pm Thursday, February 14th, 2013. Valentines Dinner includes 3 course dinner, soup or salad, choice of entree, dessert, tea or coffee from $13.95.